Our love for Rohan started in December 2010 when we accidentally went in to a little Rohan shop in Hale, Cheshire in December 2010 and we were hooked for life. I bought my hoody and my husband bought his first Rohan fleece which was great! After that we have always been to Rohan every time we visit the UK and that was one of the missions when we went on holiday with friends to Wales earlier this year. 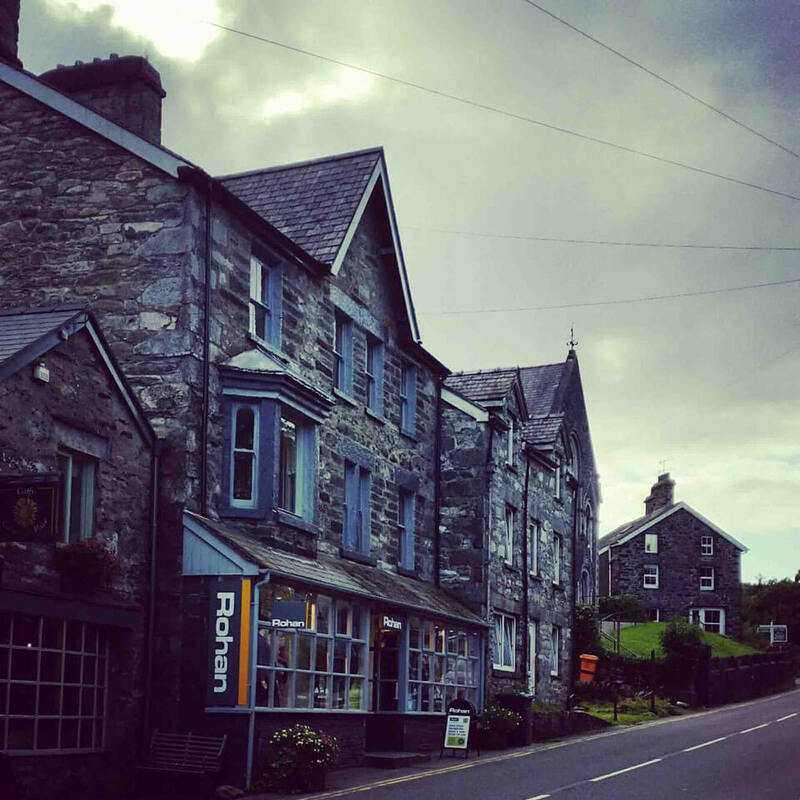 Of course we did find Rohan in Betsw-y-Coed (I just had to take a picture of the shop cause I was so happy we found it!) and I bought my next fleece. I use my Rohan hoody and fleece jackets all the time - throughout the whole year. The same goes for my husband; he uses his fleeces and jacket from Rohan all year round too so of course we had Rohan fleeces and jacket on our trip to Wales. I also had my hoody with me and used it a lot as usual which kept me warm; I especially like the shape of it and the colour. It's so comfy and easy to wear. On our last day in Wales we went to the slate mine in Corris. My husband wore his Mountain Guide jacket with his Windshield underneath. Our guide Mark was so funny and good at his job and he guided us safely through. It was very damp, cold and pitch dark but marvellous and very scary. The jacket and fleece were great; they kept him dry and warm throughout the whole climbing experience. We've been very impressed with the good quality Rohan clothes and the combination with jacket and fleece works very well. What was the one item of clothing or equipment you couldn’t have managed without on your trip? The fleece and the jacket. And what was the single thing you’d wished you brought with you – but didn’t? Wish I had brought a warm Rohan Vest. What was the one ‘not so good’ thing about your trip? That the train up to Snowdon had broke down just minutes before we arrived to the station. They didn't know when it would be repaired so we did feel lucky that we hadn't come earlier because then we would have been stuck up there for a long time! Wales was magical all the way. I loved the hills and sea but the Braichgoch slate mine in Corris was a real challenge and I was so happy I made it!